Seven segment LED displays are brighter, more attractive and provide a far viewing distance as well as a wider viewing angle as compared to LCD displays. The major drawback of using seven segment LEDs is they are resource-hungry. Our MAX7219 based serial seven segment LED display modules allows you to add 8 digits of seven segment LED displays to your microcontroller project using only 3 I/O pins, and provides full control of all the digit segments including decimal points. You can even cascade two or more of these modules together without sacrificing any extra I/O pin. Since it requires only 3 I/O pins, this display module can also be used with low pin-count microcontrollers (such as PIC12F series). Visit my MAX7219 tutorial page for more detail on MAX7219 and PIC12F683 interfacing example. With Arduino, it can be easily interfaced using the LedControl library. 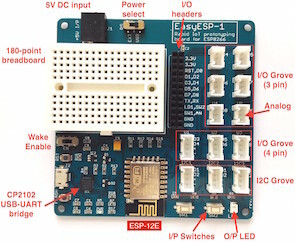 Check out my example on using this module with Arduino. Since the LedControl library does not utilize any hardware specific functions of Arduino platform, it is compatible with ESP8266. 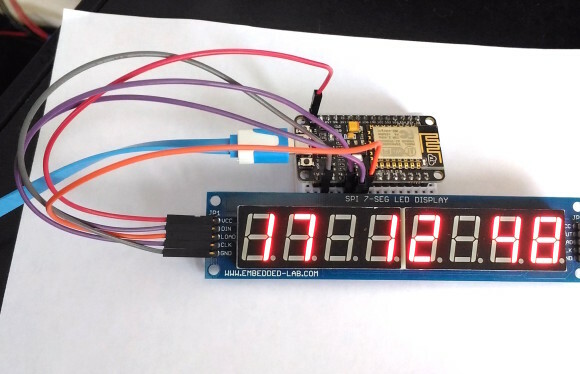 What this means is you can easily interface these displays with any ESP8266 module and use the LedControl library to program it using Arduino IDE. You can download my demo example from the following link. 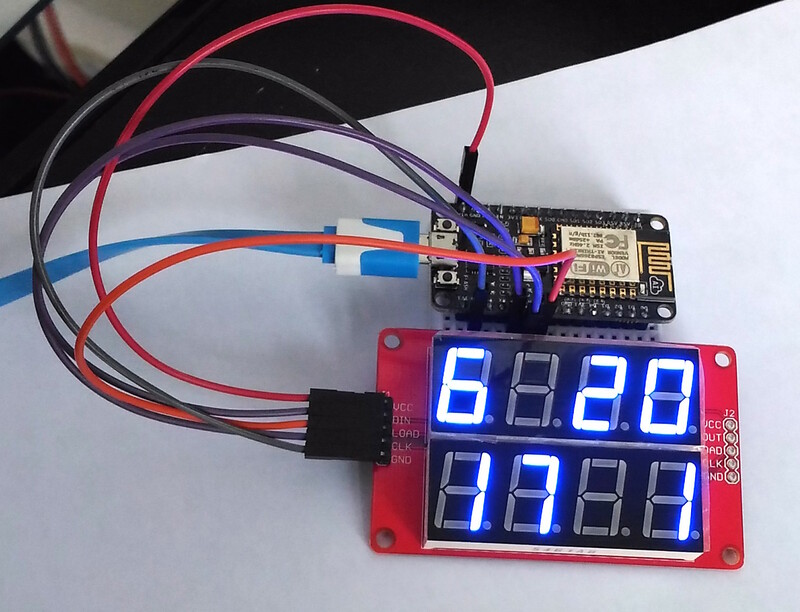 This example uses NodeMCU board for illustration. The NodeMCU pins used are D8, D7, and D6 for driving DIN, CLK, and LOAD signal lines, respectively, of the serial seven segment module. Although, MAX7219 is designed for +5V supply, I have used it several times with 3.3V output signals without any problem. But I do connect its VCC to +5V, even the serial data and clock lines from ESP8266 are 3.3V.